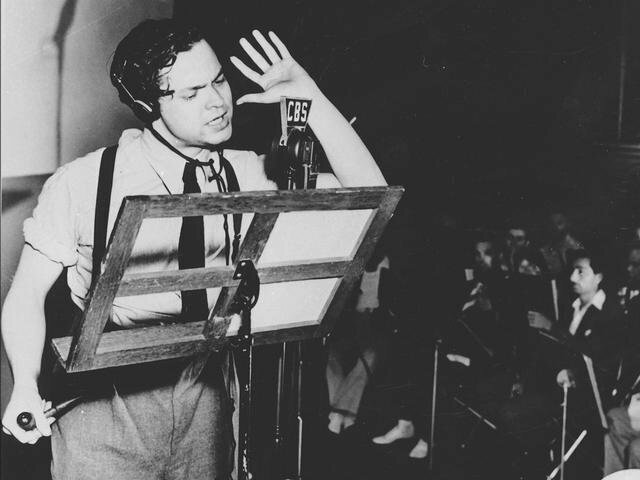 A slight detour to Radioland today being this is the 70th Anniversary of Orson Welles famed “War of the Worlds” broadcast on CBS Radio on October 30th 1938. For those not in the know Welles and the Mercury Theater broadcast a Halloween treat that many listeners assumed was the real thing and frightened people across the country. 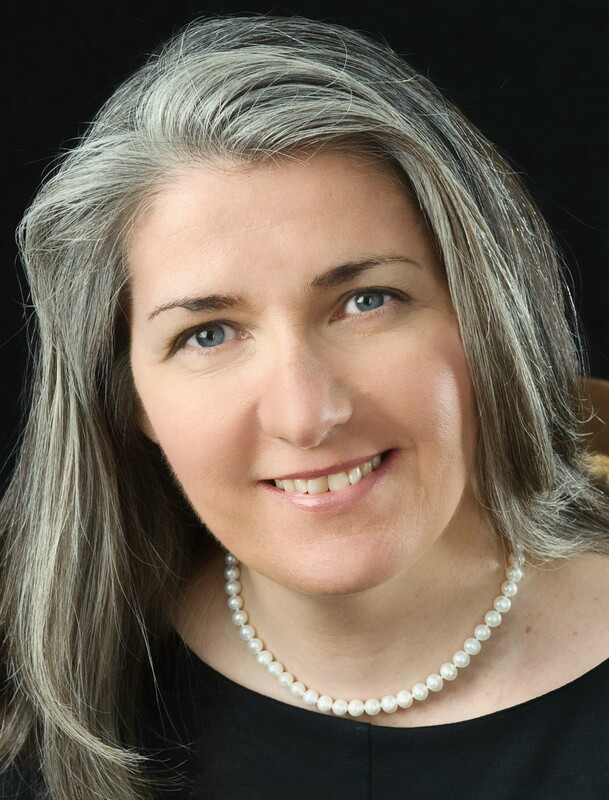 Listeners who tuned in at the beginning were aware that this was a radio show and not a real life news broadcast, however, many listeners tuned in after the start of the show and did not know what was happening. Most of the show was broadcast as a series of news bulletins which added to its authenticity. Adding to the tension for many was the real life fact that Hitler was on the move in Europe and the U.S. would soon be drawn into the war. According to various newspaper’s local hospitals were crowded with people in shock, The telephone company was overloaded with panic phone calls and some people even attempted to kill themselves rather than be taken by aliens. 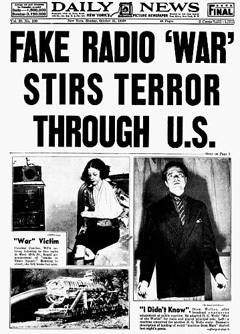 Studies done later indicate that the wide spread “panic” of millions of people was blown out of proportion by the newspapers who were concerned that Radio, fairly new at the time, would kill the newspaper business. Yellow journalism was a common occurrence in those days. Over the years, the stories about the broadcast have grown and today it is difficult to separate fact from fiction. There definitely was panic however, as to how widespread the panic was, is in question. In 1957 CBS’s Studio One dramatized the event with an episode called “The Night America Trembled.” In 1975, A made of TV move called “The Night That Panicked America” was broadcast on ABC TV with a cast that included Vic Morrow, Meredith Baxter and John Ritter.